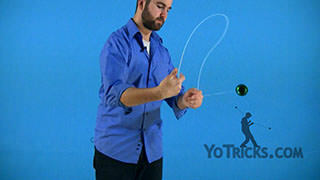 Horizontal Circular Eli Hops are an impressive trick for any routine, this trick will challenge your horizontal skills and accuracy. 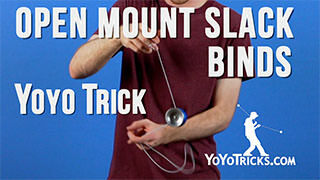 For this trick, of course, you need to know how to do Eli Hops. 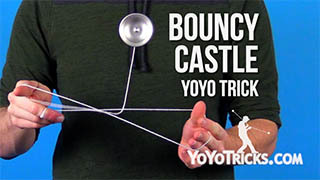 But, we are not going to be doing regular eli hops. 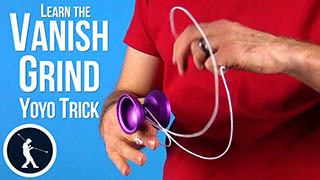 Instead we are going to be doing something called a sideways eli hop. 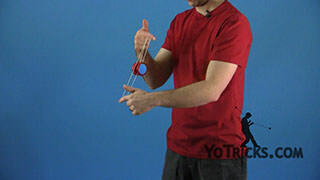 To do sideways eli hop, it is pretty much the same motion as a conventional eli hop except you push the yoyo toward your non throwhand side. 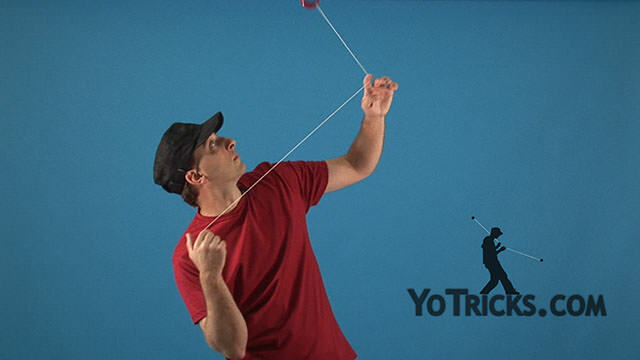 When we are doing this trick horizontally, we need to make some modifications in order to make it work better and to resist tilt better. 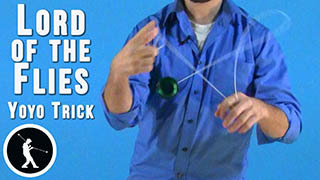 To do those, basically, we just need to speed up the hop. 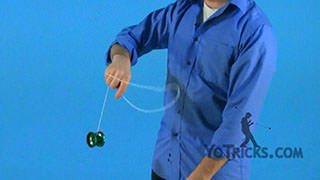 So I am going to pull my hands apart more aggressively, so that the yoyo goes out faster. 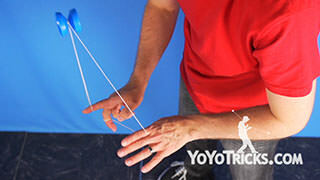 After the yoyo has reached the end of the hop, I am going to take my throwhand and pull it back, which is going to accelerate the yoyo back to the trapeze faster. 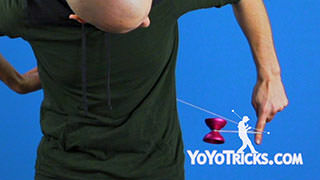 This increase in speed is really going to help you master the horizontal version, so definitely practice doing this first. 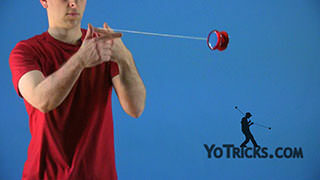 Once you have that down, then you have to throw the yoyo horizontally. 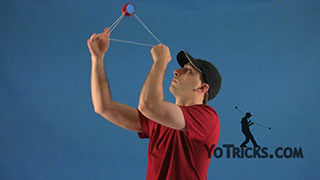 When you are doing this, you really want to throw it almost perfectly horizontally, because as you are turning in a circle, it is going to make managing the plane much easier. 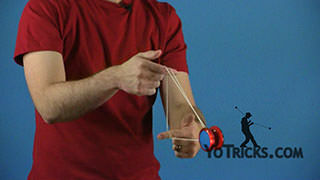 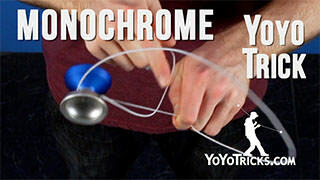 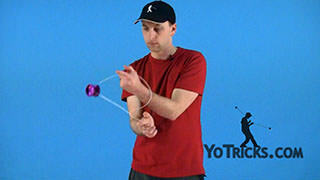 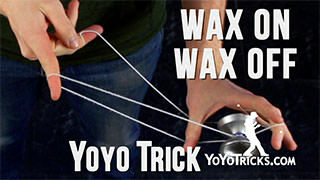 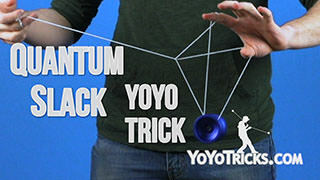 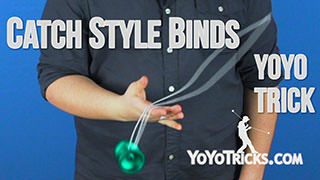 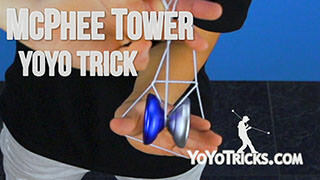 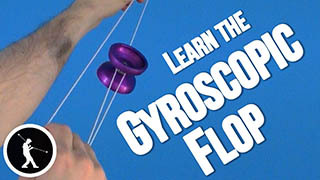 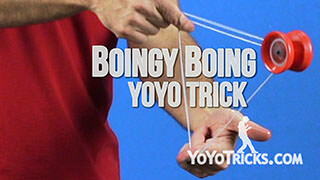 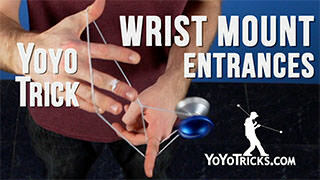 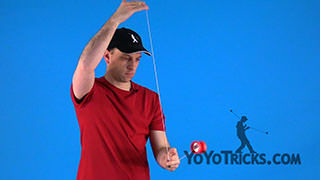 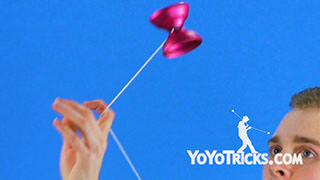 After you throw horizontally, and right after the yoyo hits the trapeze, you want to start hopping the yoyo immediately. 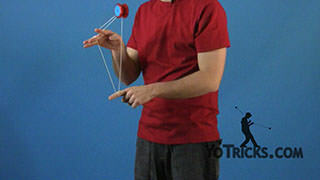 Otherwise it is going to start to turn. 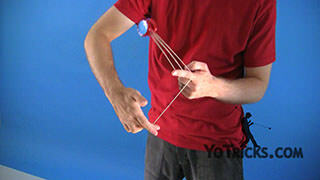 So just like this. 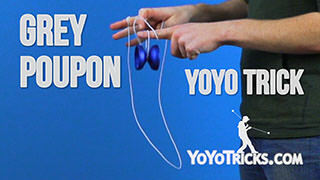 When you are first trying these hops, you might feel tempted to hop the yoyo in this plane. 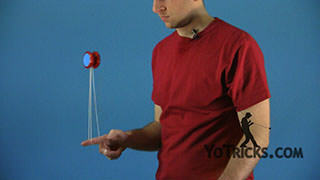 So when the yoyo is perfectly horizontal, you want to hop it in a perfectly horizontal plane. 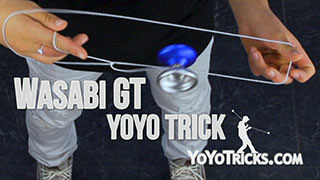 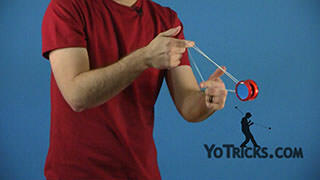 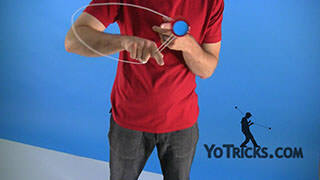 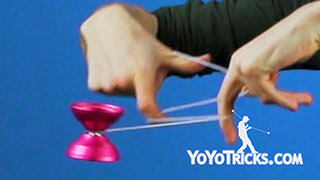 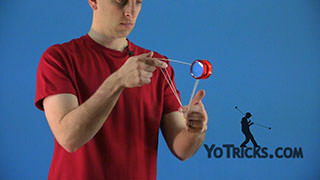 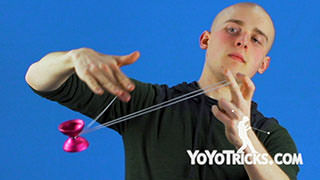 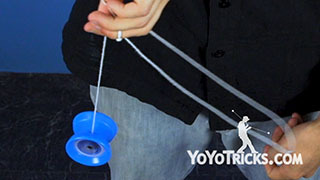 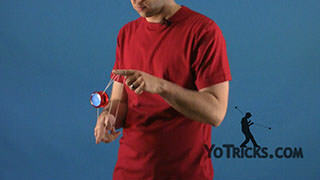 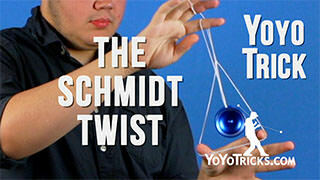 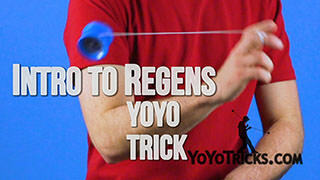 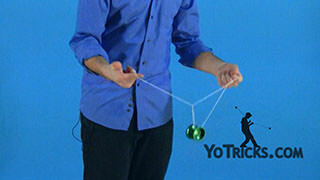 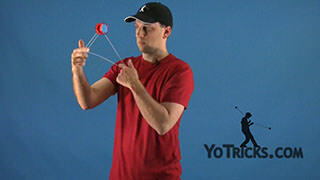 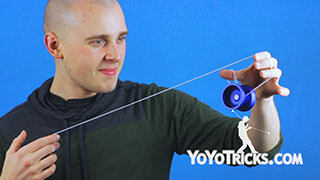 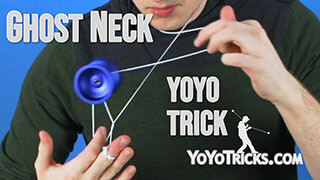 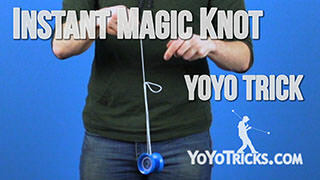 That is actually not the case, and that is going to cause the yoyo to start tilting backwards, just like this. 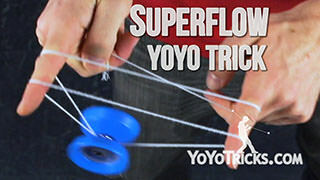 It is much more difficult. 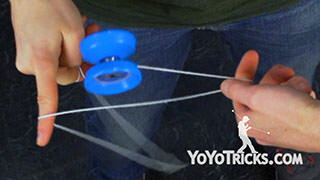 Instead, what you want to do is hop the yoyo with the yoyo still perfectly horizontal, in this plane. 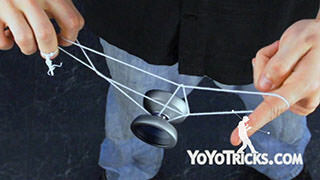 You will see at the top of the eli hop, the yoyo is actually higher up than it was on the trapeze. 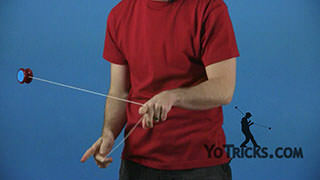 To do that, when I pull my hands apart for the hop, I am actually going to take my non throwhand and push it upwards just a little bit. 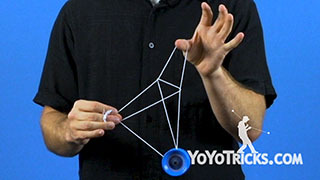 How high the yoyo goes over the plane of the trapeze is determined by how high I raise my opposite hand. 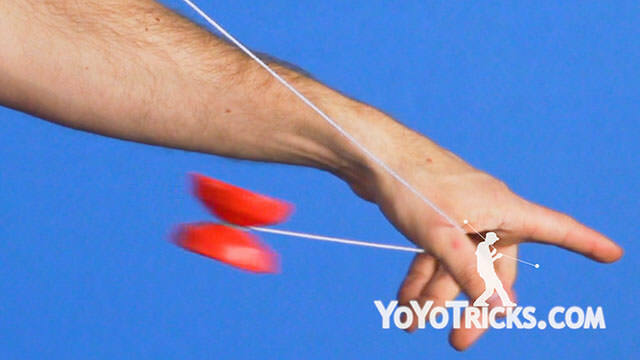 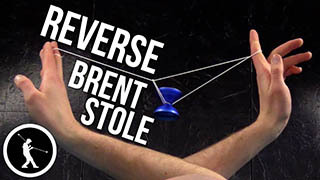 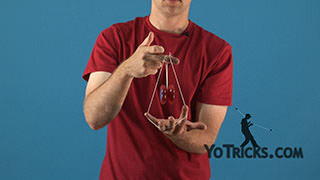 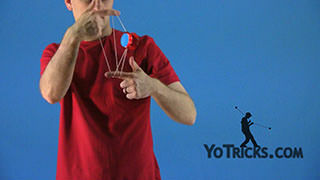 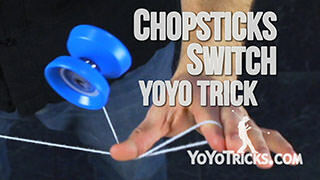 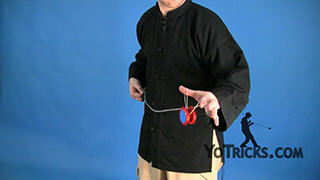 If you find that the yoyo starts going vertically while you are practicing this, then that just means that you are raising your opposite hand too high. 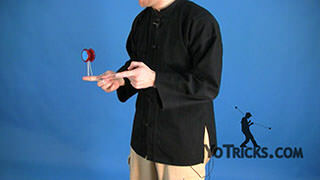 You really just need to find the sweet spot between raising your hand too high and too low. 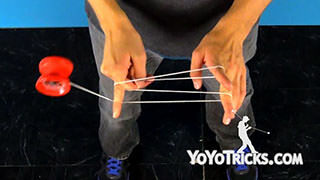 If you are having a tough time with the accuracy of this trick, then you want to take a look at how large your eli hops are. 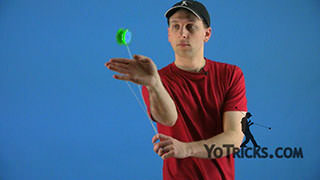 If you are trying to do these really big and impressive, large eli hops, you will find that you actually might struggle a bit with the accuracy because there is so much more room for error. 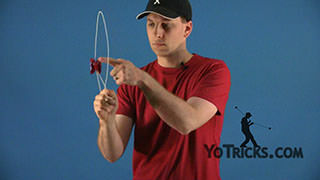 Instead when you are practicing, you really want to go for as short of an eli hop as possible, which is going to make you be able to land more successful repetitions and overall make the trick much easier. 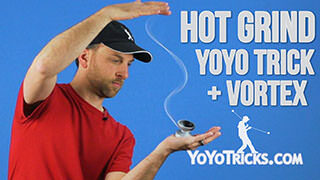 You are definitely going to want to try that. 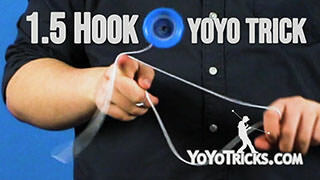 Once your accuracy is good and you are able to properly control the plane of the yoyo, now it is time to start thinking about going circular. 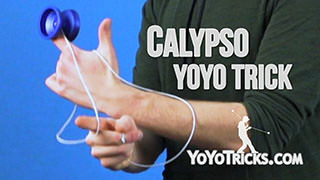 To do that, right after I land the yoyo onto the trapeze horizontally, I want to start my first eli hop. 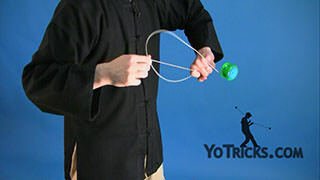 As I am hopping, I want to start walking toward my opposite hand side. 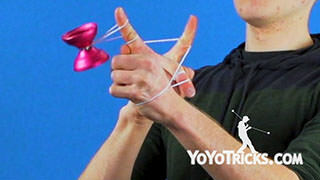 Then complete one full revolution. 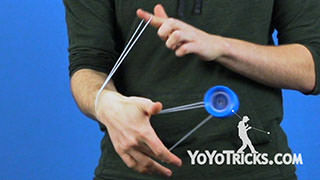 When you are first doing this, you really just want to maybe go for three or four eli hops. 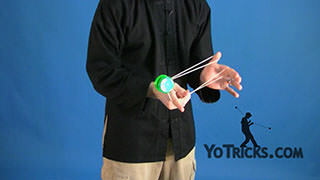 Then as you improve you can start adding in more eli hops. 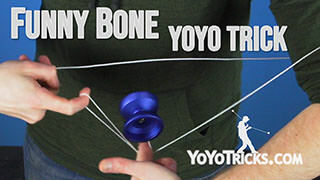 You can even go around more than once. 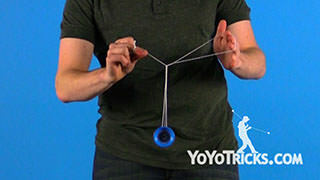 Just be careful not to get too dizzy. Going circular with horizontal eli hops might look like it adds a lot of difficulty, but as long as you are good with your accuracy and your plane control, you will find that going circular actually helps you stay in line with the natural precession of the yoyo. 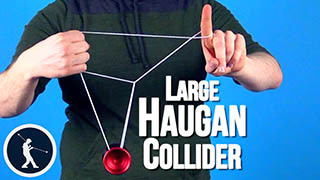 So it really does not add all that much of a challenge. 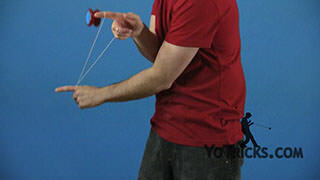 And that is horizontal circular eli hops. 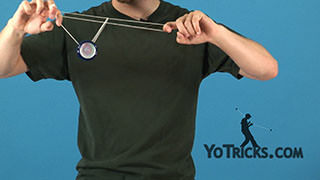 So once you are feeling very confident with horizontal eli hops, now it is time to start turning around in a circle. 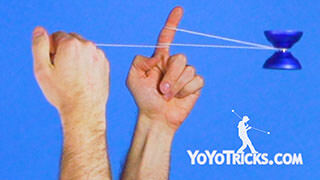 When I do this, first I want to go on a horizontal trapeze. 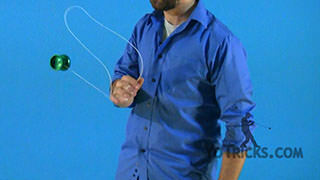 Ah, my charisma threw off my train of thought.